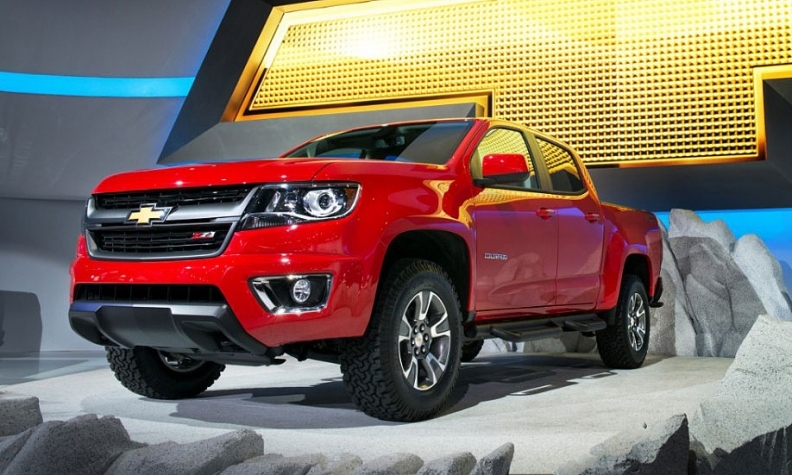 GM and Army engineers will modify a Chevrolet Colorado to evaluate the fuel cell's performance under strenuous use over a 12-month test period. DETROIT -- The Chevrolet Colorado pickup has been selected by the U.S. Army to test a General Motors-designed hydrogen powered fuel cell powertrain. GM announced the agreement in a statement today. The Army is taking a look at fuel cell vehicles for a number of reasons. The electric drive motor develops strong low-end torque, the vehicle can generate electricity in the field, and the water emitted from the tailpipe can be used in dry climates. The Army also believes that fuel cell vehicles and their near-silent operation are also ideal for many uses, notably combat situations. “The potential capabilities hydrogen fuel cell vehicles can bring to the warfighter are extraordinary, and our engineers and scientists are excited about the opportunity to exercise the limits of this demonstrator,” TARDEC Director Paul Rogers said in the GM statement. The fuel cell powertrain that will power the Colorado is a version of the one that GM developed for the Chevrolet Equinox fuel cell test fleet that comprised Project Driveway. From 2007-13, 119 Chevrolet Equinox fuel cell vehicles racked up more than 3 million miles of on-road testing by more than 5,000 consumers. In a fuel cell vehicle, gaseous hydrogen is used to generate electricity that powers an electric motor. The only by-product is water vapor from the tailpipe. The downside of gaseous hydrogen is that it is not energy dense, limiting driving range, and it must be stored under extremely high pressures. The Project Driveway Equinox could travel only 168 miles before it needed to be refueled. No technical details have been released about the range of the fuel cell Colorado. At an October conference for investors, GM’s product development chief, Mark Reuss, disclosed the company had signed an agreement with the Army, but he did not name the vehicle. The Colorado and its GMC sibling, the Canyon, have re-energized the midsize pickup segment this year. In a separate fuel cell project, GM and Honda are working on the next-generation of fuel cell technologies -- stacks, tanks, power electronics -- that could see commercial production by 2020. Hyundai and Toyota are already delivering fuel cell vehicles in California. GM’s fuel cell r&d operations are located in Pontiac, Mich., just north of Detroit and about 20 minutes from TARDEC. GM has not said when tests of the Colorado fuel cell truck will begin testing.